Cauliflower has never held much of an appeal for me: the boiled, bland florets often taste of nothing much. But Ottolenghi, the God that he is, has revolutionized the vegetable for me via the simple suggestion of roasting it. The gently charred edges give the cauliflower a delicious smokiness that makes them take on a completely different taste than when they’re cooked in any other way. Ottolenghi combines roasted cauliflower with pomegranate seeds, celery and all manner of interesting embellishments in his salads, but I’ve gone for a more simple approach. 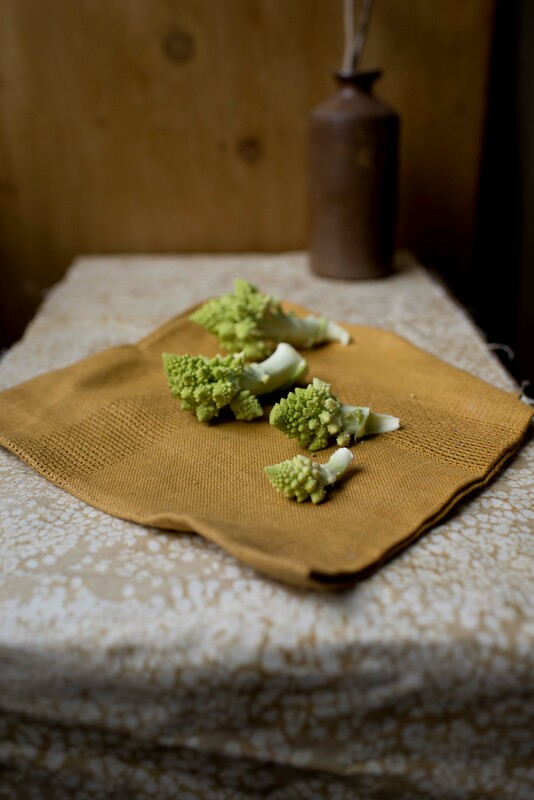 Romanesco is the Italian cousin of the common cauliflower, yet much more exciting. It’s vibrant green spikes mean that it barely looks edible, but is in fact delicious. 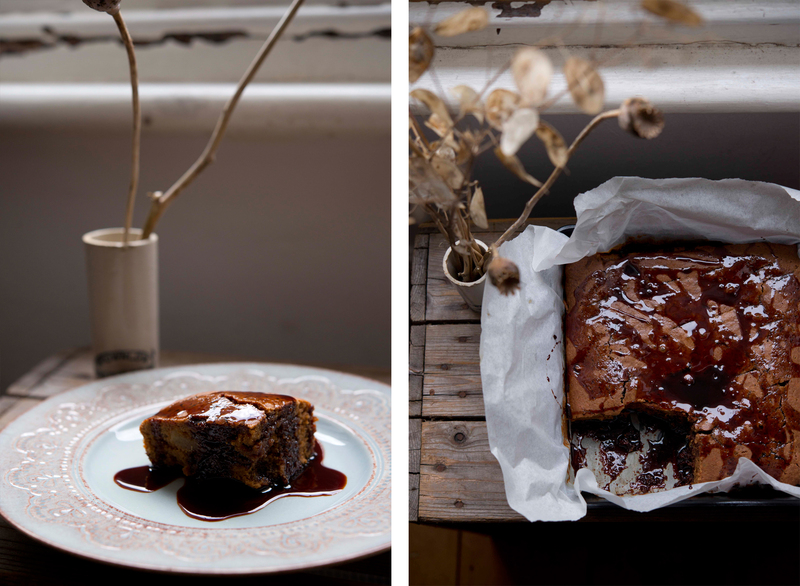 This is a laughably simple recipe. 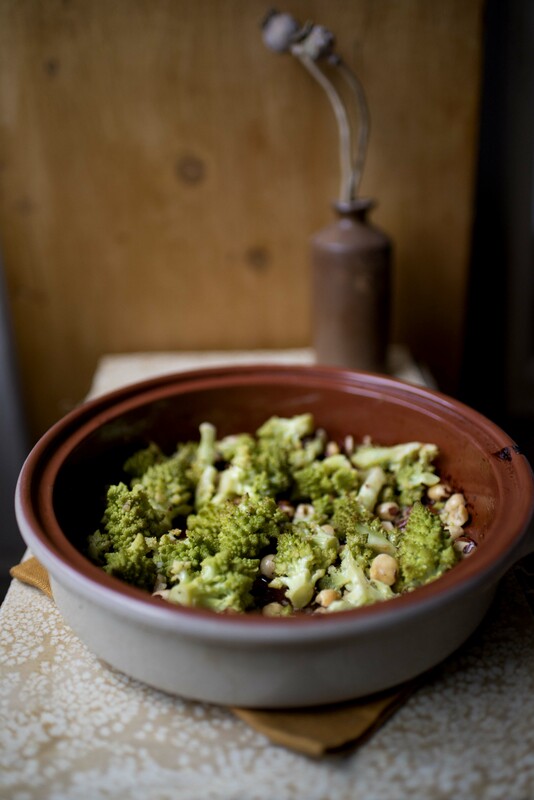 Given the Italian origin of Romanesco, I stuck to a broadly Italian theme, combining it with punchy garlic, lemon and crunchy hazelnuts. The garlic and lemon are added at the end, letting the heat of the roasting tin cook them slightly, but not too much, so they retain a bit of a punch. Preheat the oven to 180C. 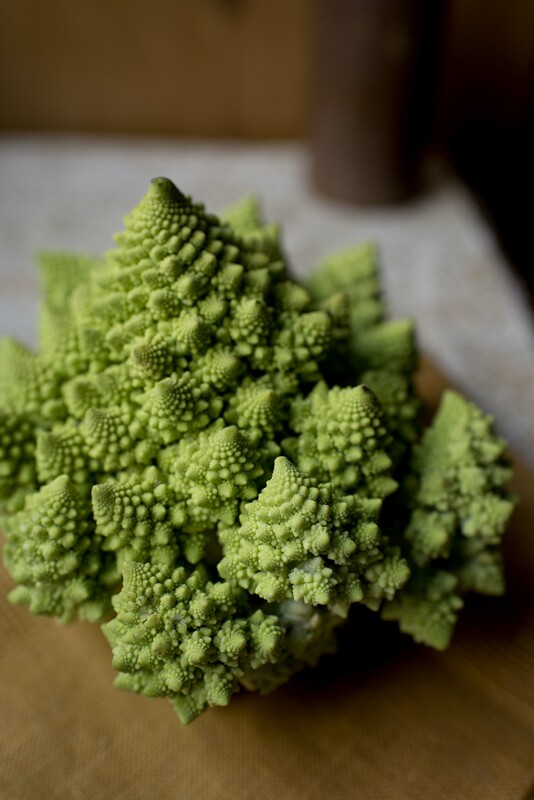 Divide the Romanesco into florets and put in a roasting dish. Drizzle over 1 tbsp olive oil, a splash of water and some salt and pepper. Roast for half an hour. Put the whole hazelnuts onto a baking sheet and toast in the top shelf of the oven for 8 minutes, until the skins are starting to crack and peel away. Rub off the skins by rolling the nuts in a clean tea towel. Roughly crush them in a pestle and mortar, then mix into the cauliflower. Whisk together the lemon juice and zest and crushed garlic with the remaining 1 tbsp olive oil. Pour over the cauliflower and stir, allowing the heat of the roasting tin to cook the garlic slightly. I recently heard of the concept of a ‘house-cooling’ (from the infinite wisdom that is Kinfolk magazine). This is pretty self-explanatory, being the opposite of housewarming: it involves saying a fond farewell to a dwelling that has provided so many memories, and welcoming in the transition and all its exciting new developments. My friends Alex and Heather have lived on a houseboat for the past 3 years. The time has come to say goodbye to the converted Dutch barge, and they are moving out of the boat onto dry land. 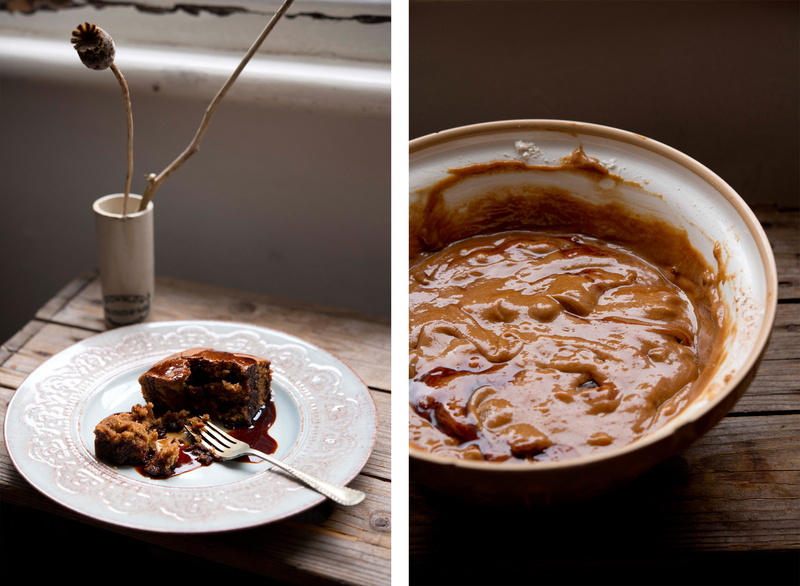 I made this dark and sticky ginger and date cake to take to the ‘boat–cooling’ gathering. I felt that feeling something stodgy and spicy might be in order, not least to fuel the impending sorting and moving of an entire boat-worth of stuff. We ate the cake huddled in the warmth of the boat, feeling the calm sway of the water and remembering all the many previous days and evenings spent there. 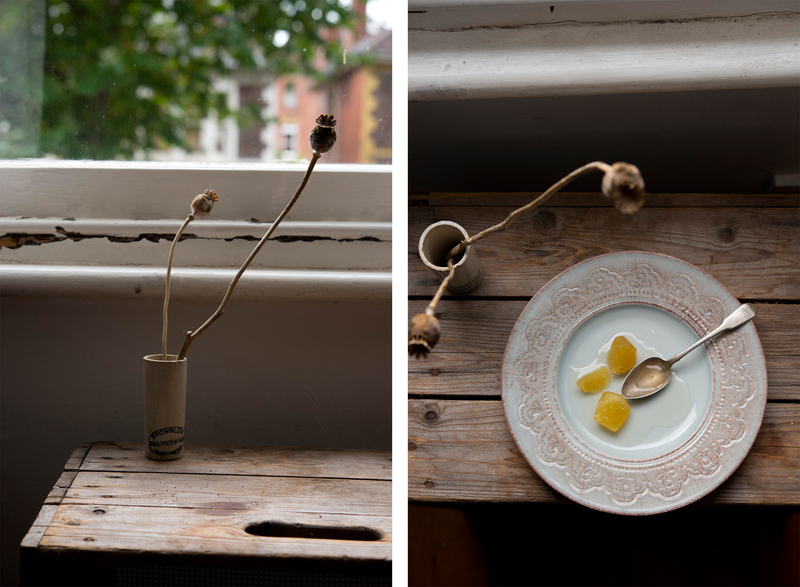 This time felt poignant given the shift in seasons too – saying farewell to the boat and farewell to summer. There was a definite fizz of excitement around the anticipation of the next exciting phase, of things to come.